We’ve always known that on some level, Henry’s always been something of a 65-year-old man . 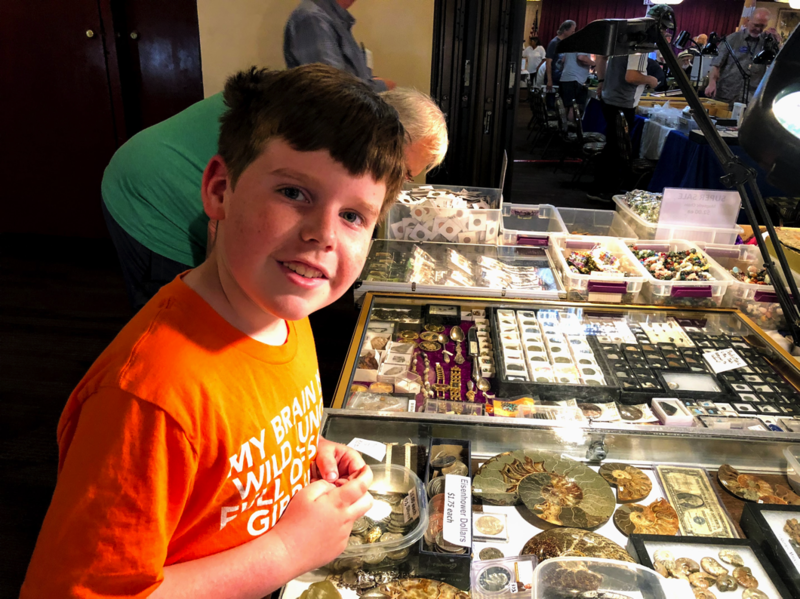 Therefore it’s no surprise that he loved spending the afternoon in the company of such guys, nerding out about all things currency at the Modesto Coin Show. Sticking out so clearly from most of the attendees, Hen was kind of charming & fascinating to them, and folks treated him so kindly, offering all kinds of little goodies. Below you can see the short “haul vid” he recorded after we got home, as well as a handful a photos I snapped during the show.